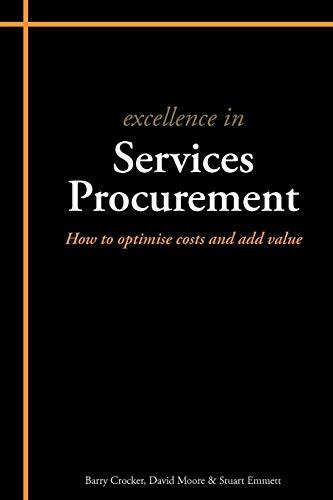 All three of the authors are industry professionals, leading the way in new thought and practical application in the field of purchasing and logistics. Barry Crocker is a lecturer in the Salford Business School at the University of Salford and currently the Programme Leader for the MSc Procurement, Logistics and MSc Supply Chain Management. David Moore developed and delivered Chartered Institute of Purchasing and Supply (CIPS) courses for organisations such as British Airways, London Underground and the Civil Service College. These were followed by the development and leadership of the MBA full time and part time programmes, as well as the MBA by Directed Learning in Bahrain. More recently he designed, developed and delivered the MSc Defence Acquisition Management course. Stuart Emmett works as a trainer and consultant for his company, Learn and Change, across the entire globe.